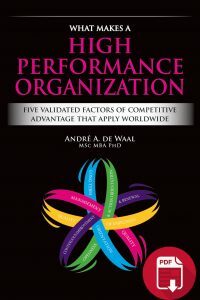 Challenge your managers to become real HPO leaders! In an HPO, managers on all levels of the organization maintain trust relationships with employees by valuing their loyalty, treating smart people with respect, creating and maintaining individual relationships with employees, encouraging belief and trust in others, and treating people fairly. Managers at an HPO work with integrity and are a role model to others, because they are honest and sincere, show commitment, enthusiasm and respect, have a strong set of ethics and standards, are credible and consistent, maintain a sense of vulnerability and are not self-complacent. They are decisive, action-focused decision-makers, avoid over-analysis and propose decisions and effective actions, while fostering action-taking by others. HPO managers coach and facilitate employees to achieve better results by being supportive, helping them, protecting them from outside interference, and by being available to them. Management holds people responsible for results and is decisive about non-performers by always focusing on the achievement of results, maintaining clear accountability for performance, and making tough decisions. Managers at an HPO develop an effective, confident and strong management style by communicating the values and by making sure the strategy is known to and embraced by all organizational members. The management of our organization is trusted by organizational members. The management of our organization has integrity. The management of our organization is a role model for organizational members. The management of our organization applies fast decision making. The management of our organization applies fast action taking. The management of our organization coaches organizational members to achieve better results. 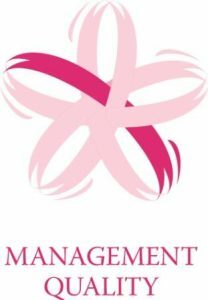 The management of our organization focuses on achieving results. The management of our organization is very effective. The management of our organization applies strong leadership. The management of our organization is confident. The management of our organization is decisive with regard to non-performers. The management of our organization always holds organizational members responsible for their results. please contact us (schreurs@hpocenter.com or T. +31 (0) 35 – 603 70 07).